The BEST day a dog can have! 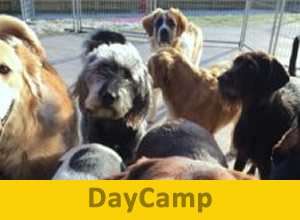 Paws and Claws offers DayCamp because pet owners have busy lives! We are here for you and your pet to provide activities and socialization instead of staying home alone during your long and busy day. 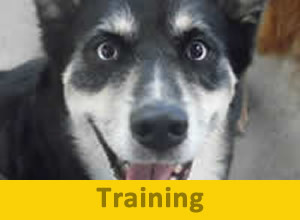 DayCamp can assist owners with many issues including puppy training, separation anxiety, destructive behaviors, boredom, socialization or lack of exercise. We can also accommodate geriatric pets and post-surgery monitoring. The Resort is divided into several separate play areas located indoors and outdoors. Dogs are divided into play groups by size and/or play style, with play areas offering water and a large assortment of beds, toys, balls, chew items and play structures. Pets are always supervised by our highly trained Counselors. 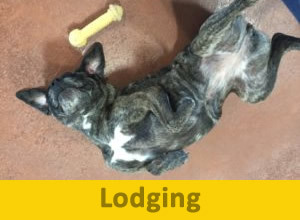 All dogs are taken outside upon their arrival and at regular intervals throughout the day. Our outdoor, secure play areas have year-round, green turf (NO dirt, mud or dead grass here!). Weather permitting, dogs are allowed “at-will” access to outdoor play areas so they can choose where they want to play. 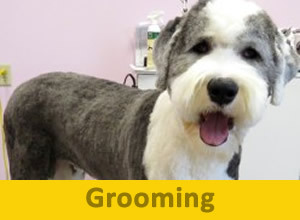 Your dog will go home happy and fulfilled, ready to relax with you at the end of a busy day! DON’T WONDER, Watch! Doggie Cams can be accessed by your computer or mobile device for observing inside and outside play (need not be a client to watch! ).